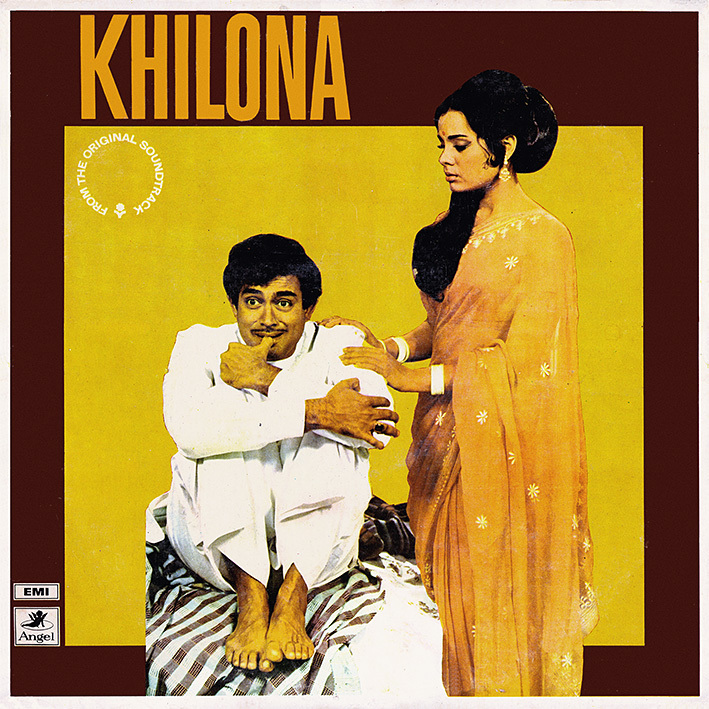 A hunch that it wan't the most interesting of soundtracks is the reason I've passed on several copies of Laxmikant Pyarelal's 'Khilona' over the years. Finding a real cheap one I finally succumbed, but I have to admit my suspicions were confirmed. Ok, it has 'Roz Roz Roz' which to be fair is a pretty cool jazzy rock 'n' roll number and the track that made me consider the album at all. It sounds like something Shankar Jaikishan could have done; good, upbeat fun, though not as memorable as either composing duo's best stuff. Apart from that there isn't anything here I find noteworthy. 'Khilona Jan Kar' is pleasantly atmospheric and might be growing on me, the rest, while not necessarily bad, fails to really grab me. Excellent Sound Quality. Only vinyl and mft3f can produce. Thanks a lot! Thanks Vikram, I appreciate it. I want to know something. How do you like to enjoy your vinyl collection ? Playing them on the turntable or playing the MP3s that you've ripped...just curious ! Good question :) A little of both really; when I'm working on the computer, and indeed doing the write-ups for these posts, I tend to play the MP3s. But in general, there's nothing like putting a record on the turntable and enjoying them as they were originally intended to be enjoyed. Very happy to find you back in the blog Mr.Vikram after a long time.